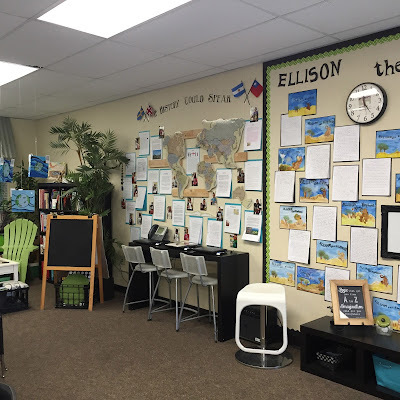 After many years witnessing the power of communication and collaboration among students to develop a deeper understanding of a subject, I began researching how to provide the type of classroom environment that could best foster critical thinking and a positive discussion forum. After observing my son in 8th grade during a Harkness discussion, I was convinced that using this pedagogy to facilitate discussion was exactly what I needed to create in my own classroom. The students were engaged, their opinions were equally heard and valued, and their ability to not only speak with confidence and take risks, but they were able to listen with intent. In a Harkness class learning takes place through discussions held around a circular “Harkness Table.” Sitting at the table, all members of the class must question, contribute, and contemplate in order to learn and succeed. Some may confuse this with Socratic teaching where the teacher is driving the discussion. Socratic teaching involves asking students questions about their ideas, continually pointing out weaknesses in the ideas until students “realize” the correct conclusions. The conclusions, however, are predetermined by the teacher, and the students only qualify as having realized if they agree with, or surrender to, the teacher’s ideas. A Harkness discussion is a roundtable discussion in which everyone has an equal voice. While the teacher works hard to create circumstances in which every student feels comfortable speaking, the teacher rarely jumps in with explanations or to fill an awkward silence. The students take ownership for the conversation, and the course material flows from their thoughts and opinions. Harness discussion are student centered while Socratic teaching is teacher centered. There is a time and place for perhaps both methods, however, I have come to learn that through investigation of one's own self discovery, the "ah ha" moment propels conceptual understanding, long term retention, and quick recall. Though some classrooms use Harkness exclusively, it is also an excellent tool to add to a wider pedagogy. I like to do Harkness discussions once a day, so that my students have a chance to work on expressing their opinions and learning to listen. An important tool used in a Harkness discussion is the use of a circle discussion chart. 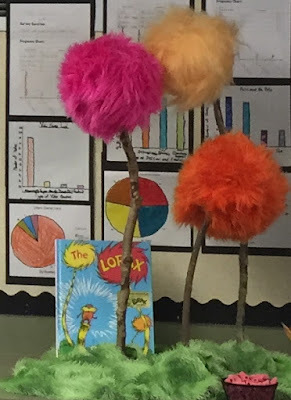 The children enjoy looking at the end design and after a few months of safe practice, the students who tend to be more reserved and quiet about their thoughts become vocal and confident. It's wonderful to be a witness to this emergence. 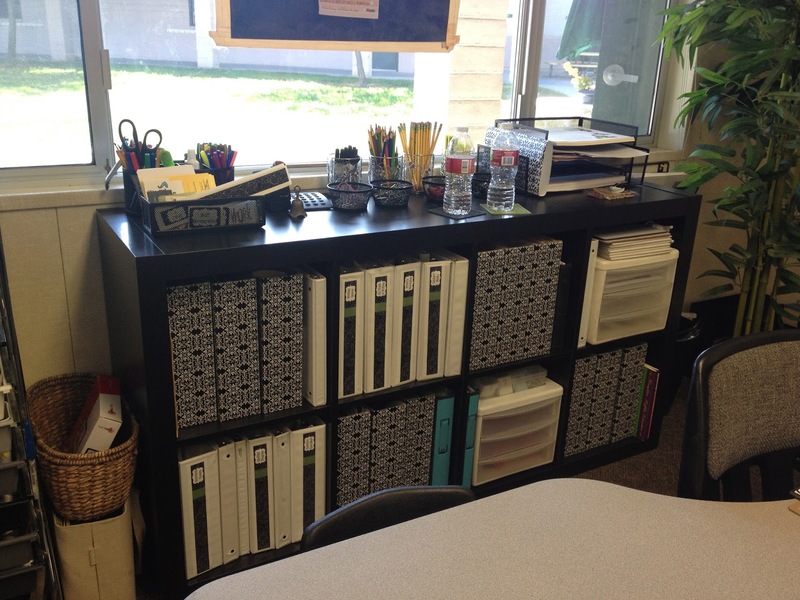 I find that my students do so much better in writing when I provide an organizer as a way to scaffold the task. 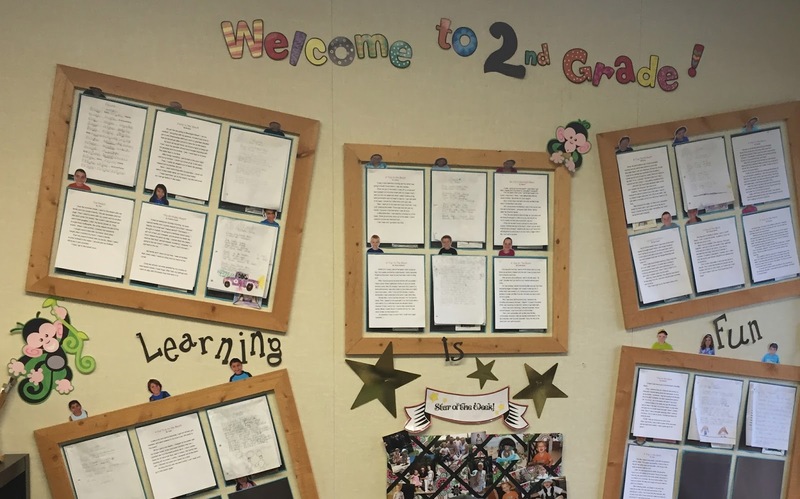 In second grade, I assign a Simple Machine Report, An Ancestor Report, An Animal Report and a How to Make Recipe Explanatory Text. Below are the organizers that I created for them. 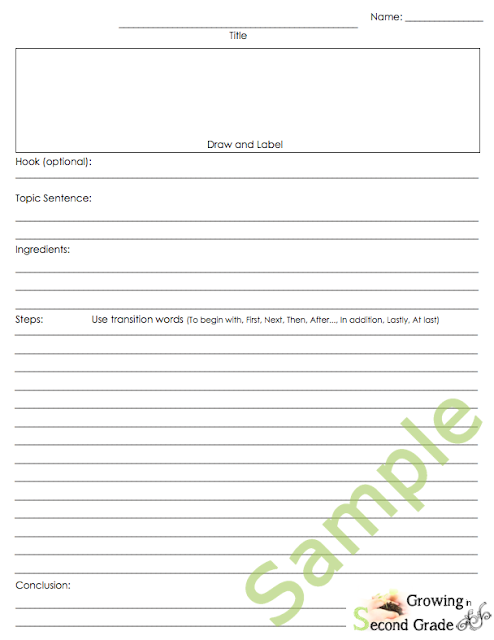 They go along with our Common Core Standards: Informational/Explanatory Writing. 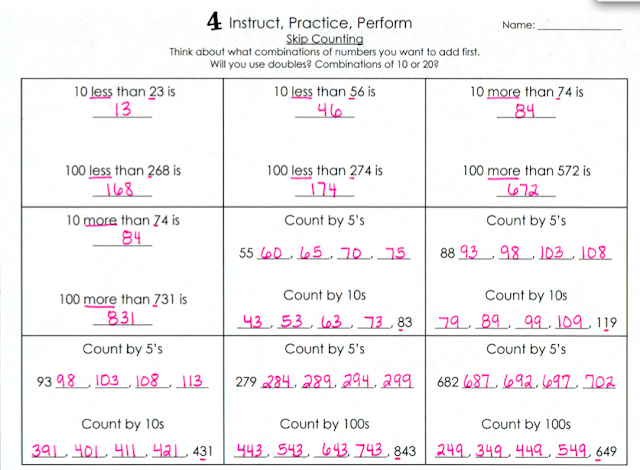 The files below are a quick way to capture a students understanding of the various strategies used in Addition and Subtraction units. 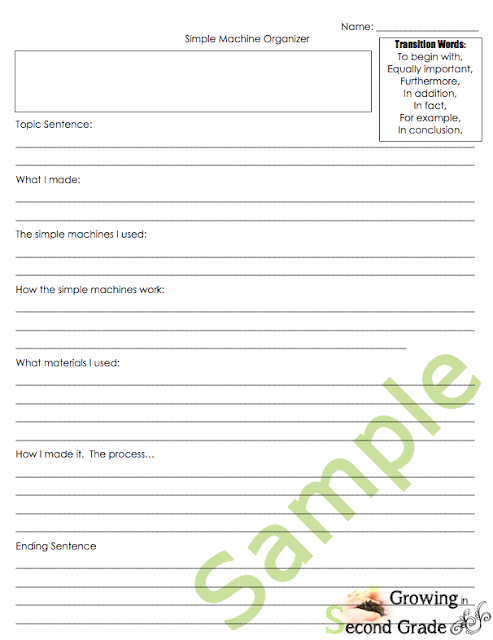 Each question within an activity is designed to progressively become more challenging, allowing you to quickly identify each student's instructional level. Answer sheets are provided, but are only possible approaches, there may be other ways to demonstrate understanding. * OA1 I can solve word problems using objects, drawings, and equations. 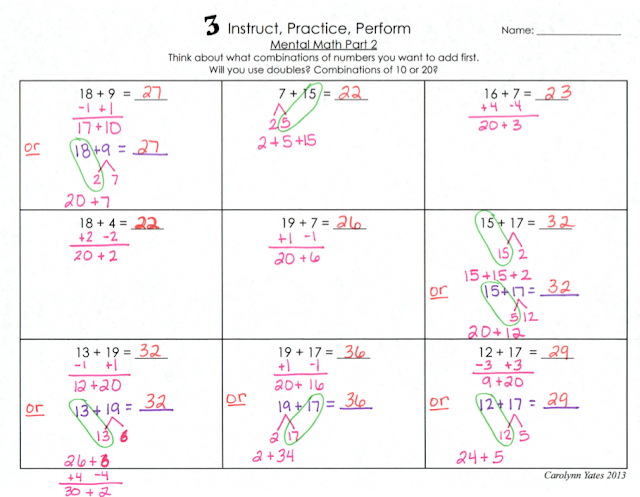 * OA2 I can use mental strategies (using doubles plus one, bridging through 10) to easily add within 20. 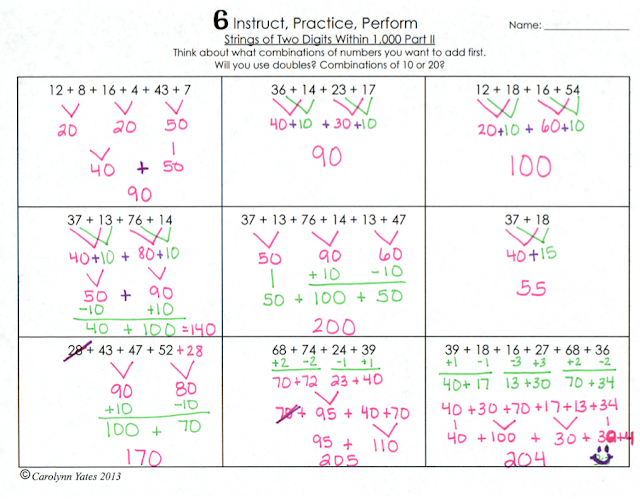 * NBT6 I can add up to 4 two-digit numbers by using strategies I have learned. 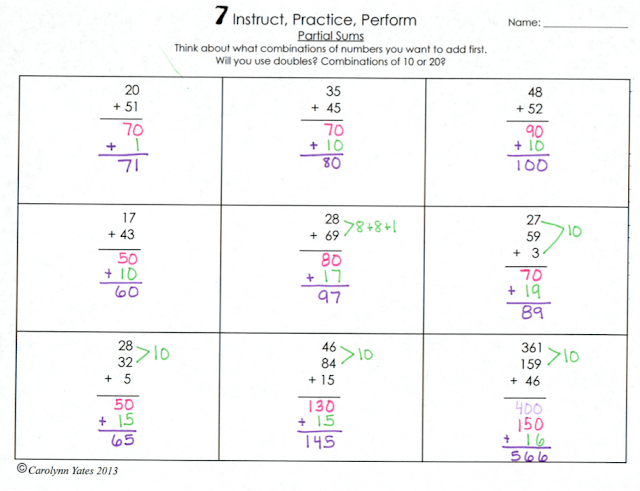 * NBT8 I can add and subtract 10 or 100 to another number in my head. 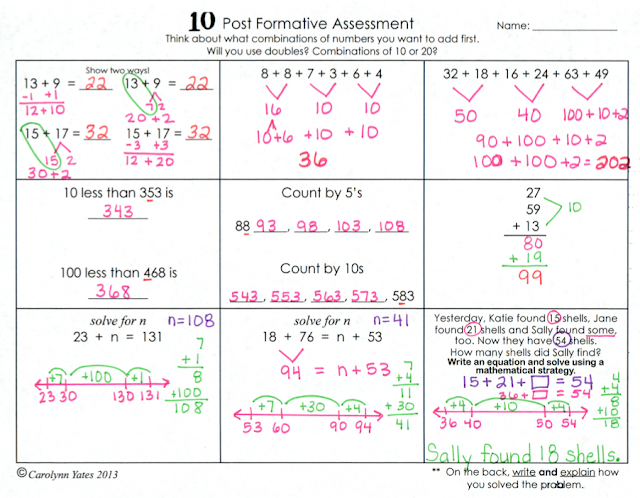 * NBT9 I can use place value to explain addition. Here are a few samples! There are 10 sheets and 10 answer sheets in the packet! 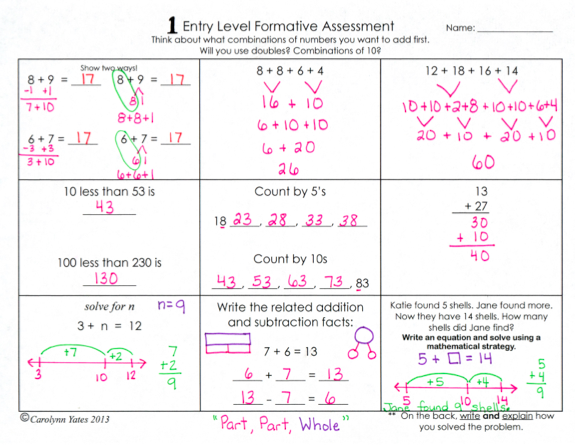 I have provided sample answer sheets. Please note that because the Common Core asks children to think critically, while being able to justify how they arrived at their answer in an efficient way. The answers provided are considered “POSSIBLE” answers. Children may have others ideas. However, they must be able to demonstrate how they arrived at their answer. “I memorized it” is not an explanation. 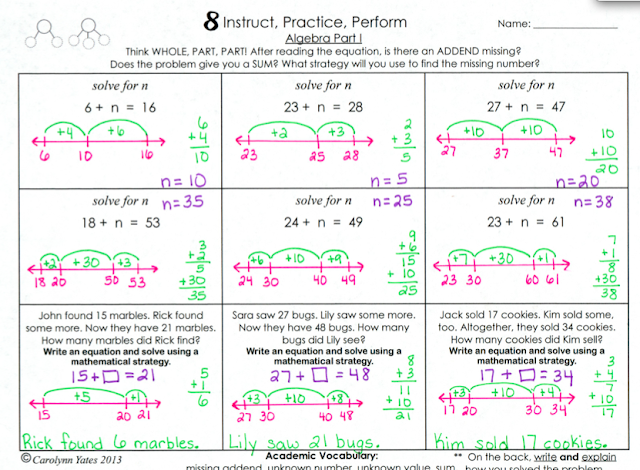 The Common Core also encourages automaticity while exercising flexibility in adding and subtracting through the breaking apart and putting together of numbers. 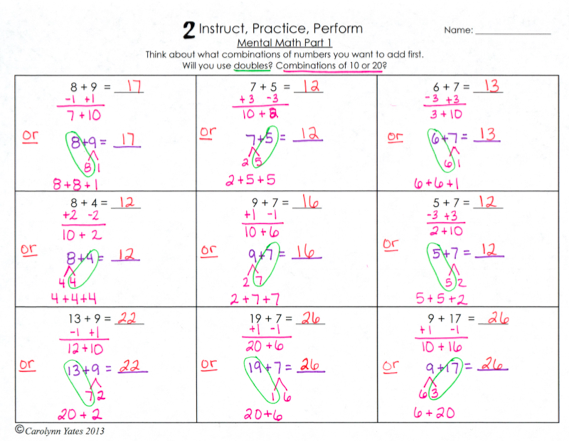 This is why showing doubles and bridging through 10s and 20s in Mental Math activities must be practiced and demonstrated. 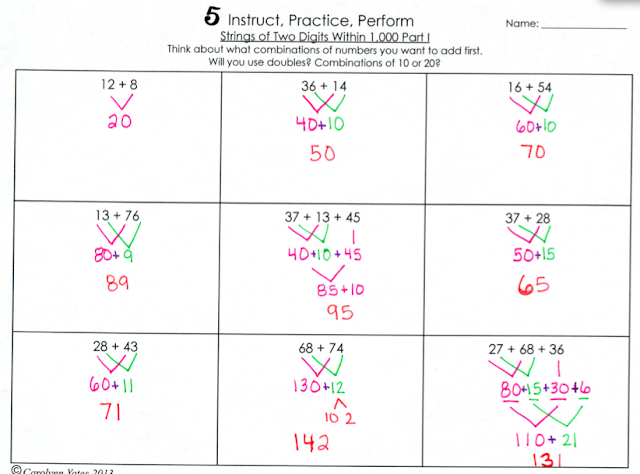 I feel that it is important that my students demonstrate mastery of the various strategies. Later, as I provide performance tasks, I will be asking the students to choose a strategy from the ones above or a strategy that they have created themselves; as long as they can articulate their mathematical thinking clearly to others. 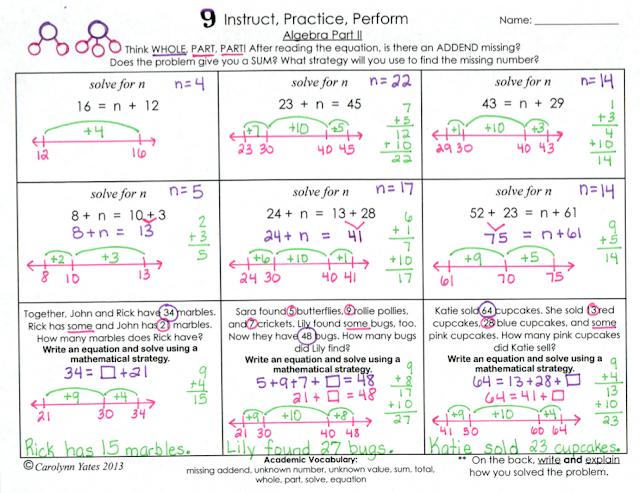 Practicing and mastering the above strategies while eliciting other approaches will help children acquire a deeper understanding of our Base Ten System. 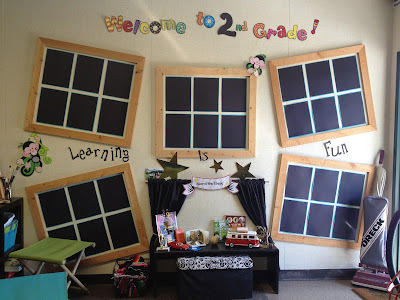 Here's a fun activity that I like to do at the beginning of the year and it's a hit with parents! On the first day of school I like to ask the children to share stories about their fondest summertime memory. While sharing, I pull students to record their stories for their parents to hear at Back to School Night. Here's how I do it. First, I use an app called "audioboom" from my phone and then I log onto the website and grab the automated QR! It's that simple! 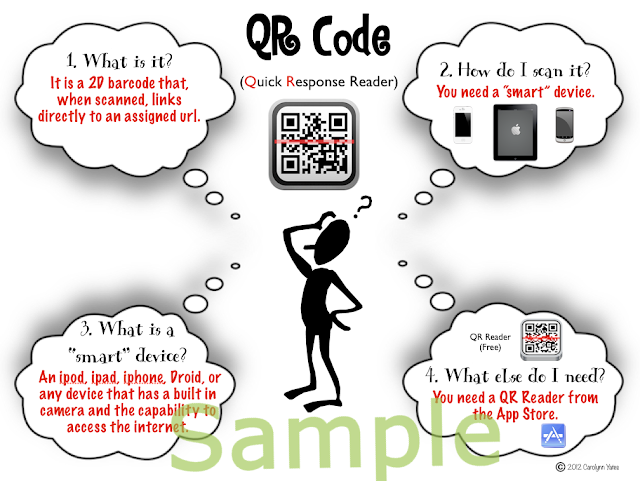 I print out the code and attach it to a picture that I have taken of their child. I make a bulletin board with all the children's faces and matching QR Code. at Open House to showcase student work! 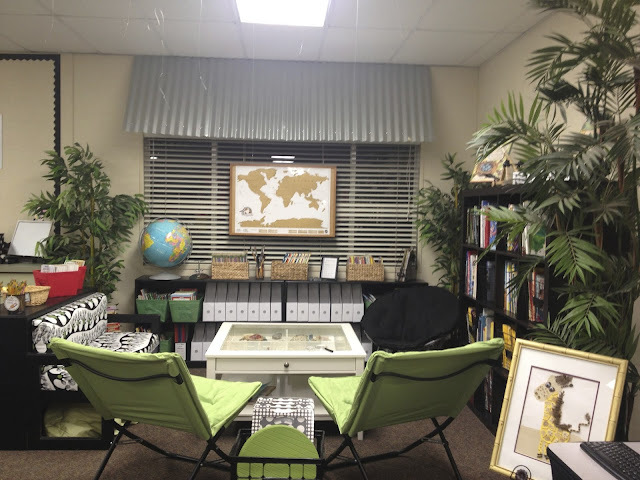 Classroom Design and Library using IKEA Furniture! 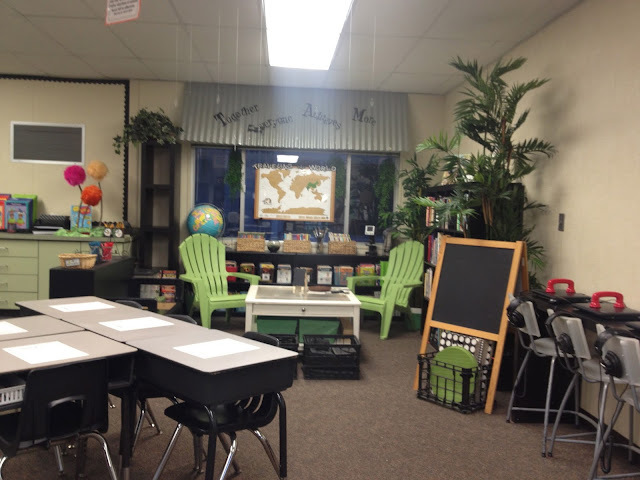 I hesitated on creating this post because I haven't been in my classroom yet this year to set it up, but I wanted to share with everyone as you begin your journey in creating a classroom environment that fosters curiosity and inspires a love for learning. So, I have found a few pics from last year. They are not the best at displaying how I have organized the classroom library, but it will give you an idea on how you can start with a few IKEA furniture pieces. 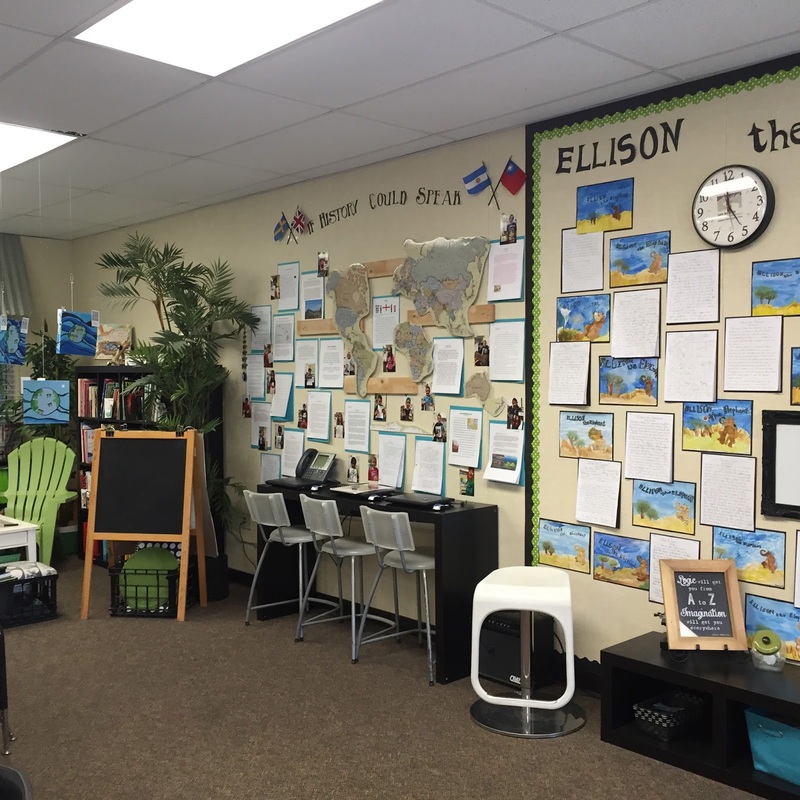 In this photo, the centerpiece is where all my students, and many students who meander into the classroom yearning to learn more, head straight to. It is an older IKEA coffee table that has a drawer and inside it has four quadrants where I display rocks and minerals, shells, nests, bee honeycombs, old artifacts, and anything the children find that they feel is valuable! I leave several magnifying glasses on the table and I usually have a science book flipped open to a page and propped up using a picture frame holder. The children LOVE it so much! They would rather hang out around this table and talk about their observations than play outside. It's amazing! I found the table on Craig's list for $30. I also replaced the glass top with plexiglass because I was worried about their safety. 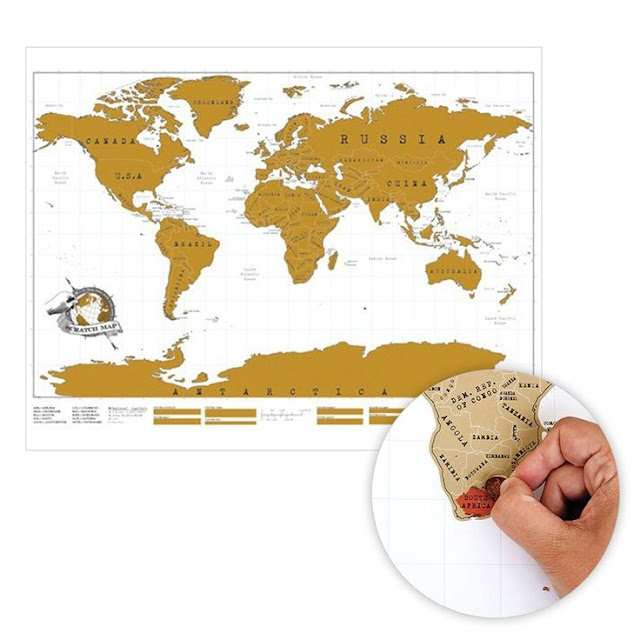 The map in the background is used for when we travel to different countries to study the culture, architecture, government, etc Each time we stamp our passport, we scratch off the gold and reveal the color underneath. It's super fun! The trees are fake and we have a very strict Fire Marshal so I treated all the plants with a fire approved spray and attached a label to a leaf and by the fire extinguisher to let them know that the plants have been treated. 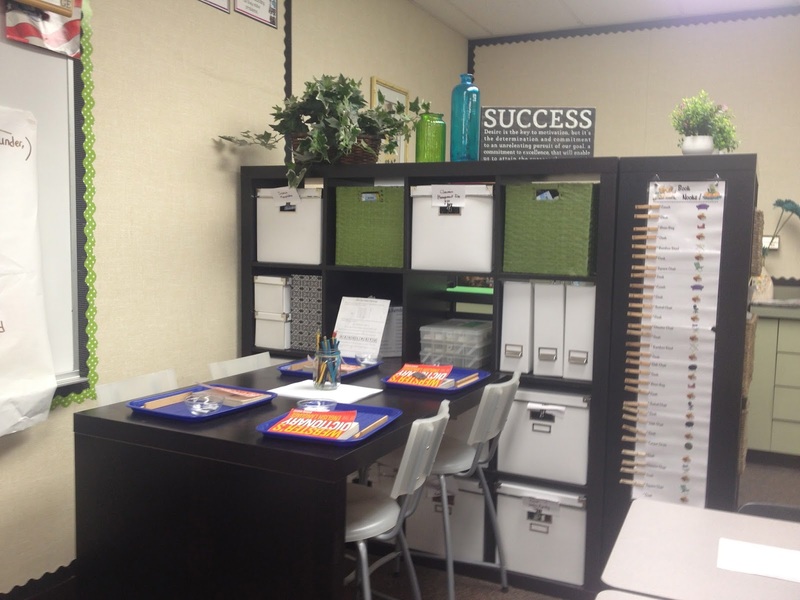 When you open the classroom door, you are greeted by this IKEA piece that houses math maipulatives such as unifix cubes, geoboards, money, games, puzzles, and more. on top, the items change depending on the theme, or time of year. The children loves having manipulatives at their fingertips. They love it! I bought the IKEA bookshelf and tilted it onto its side. I paid $30 for this piece on Craigslist. On the right side when you walk in, my husband made me 5 very light frames out of very cheap rough wood that I hung using T pins!!!! No drilling required!!! It's playful and fun! The children enjoy seeing their worked published, so do the parents. Below is where I display our Star Student and their items. I took close-up pictures of the children and cut them out as a way to quickly identify their amazing work! Here's another shot at the beginning of the year. Haha! I just noticed the vacuum! Like I said...The day before school started. I bought another bookshelf like the one above and took out the shelves and base so that I could turn it into a computer station. I like it because it takes up very little space in terms of depth and it has a sleek look. We have 3 netbooks in our classroom. On the floor where the children gather, I bought and IKEA shelf that is called a 1x4 and laid it flat. I have also seem pictures where people have made long cushions to put on top and it becomes a bench. I bought this piece for $25 on Craigslist. I bought another IKEA bookshelf and tilted it onto its side to house my teaching materials. I LOVE it! I got the file folders at target for $1. I also bought the same bookshelves but some of them are called work station because you can attach a table. They are the best!!! I have three of these in the classroom that I use for rotations. 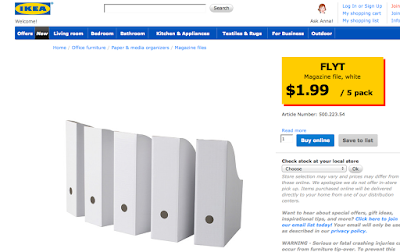 These are usually about $40-50 on Craigslist. One last item to mention for now. This is is definitely a conversation starter. Substitutes seem to always leave a comment about the Truffula Trees from the book titled The Lorax. I found the sticks while on a bike ride with my daughter, bought three styrofoam balls, and furry fabric at the fabric store and voila! I recently had to remove my cozy chairs due to lice issues, so I found green plastic Adirondack chairs at Lowes. Here's a link. They were about $17 each! I hope that you found some helpful hints and useful ideas and please feel free to comment if you have any questions. Have a fabulous school year!!!! Getting organized can be fun! Isn't is nice to have all the information you need on your new students in one area? 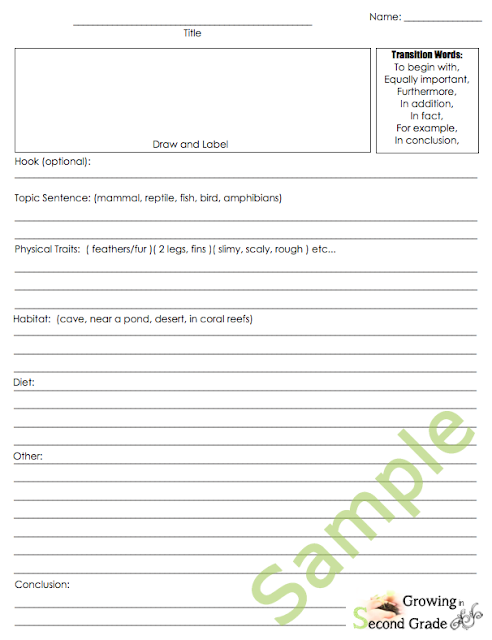 After going through many different student Information cards, I always found myself wanting more specific information. Now that we live in a digital age, it's important to know what types of devices your students have access to and whether or not you can reach parents using a smart device with apps like Remind101. 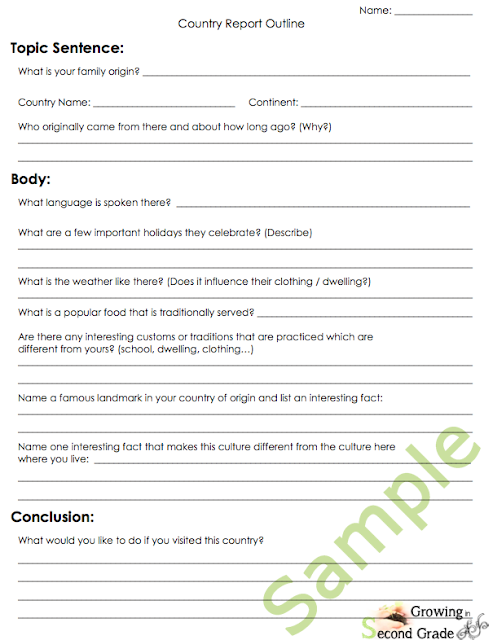 It also includes quick character analysis of your student from their parent's perspective. You can print these back to back, cut them, and put on a ring or you can leave it as an 8x11 document to create a spiral bound booklet. 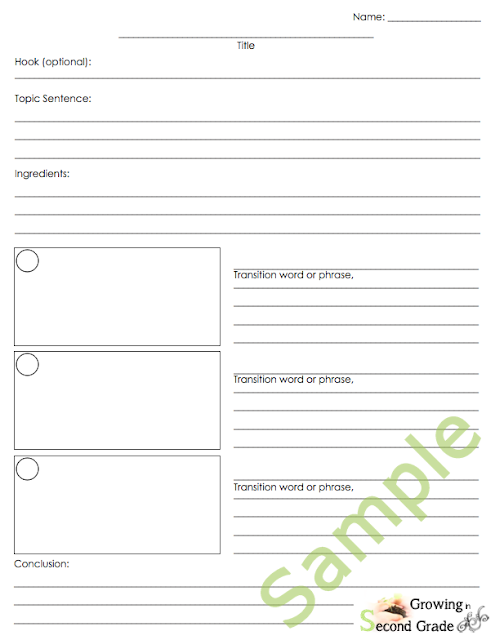 It's also a good idea to print it our on cardstock so that it lasts longer as you may use it frequently. The student information card can be taken with you on field trips and available for substitutes. Let me know if you need any adjustments to your and I can send you a Keynote Editable File. Keynote is like Powerpoint but a Mac Application. 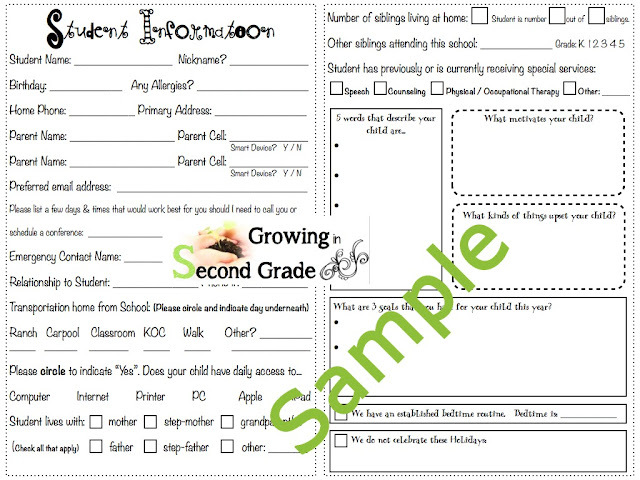 Click here if you would like to start your year off with Student Information Cards! The file also offers side by side format or back to back format. Carolynn Yates. Simple theme. Theme images by andynwt. Powered by Blogger.